Jackpot 6000 is 5 reels classic slot game powered by NetEnt software platform. 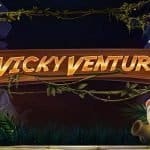 Players can play this game for free or with the help of real money. The game is highly popular among players looking to play online slot machines at the internet. To play the game to spin the reels, a player needs to adjust his or her bet. The coin size ranges from 0.1 to 1. Terms like bet, coins, spin, max bet, profile, leaf, transfer and collect are mentioned at the game. “Bet” means choosing the number of active paylines. “Coins” means playing the game for chosen bet or to enter the supermeter mode. ‘Spin” means to play the game or to spin the reels. “Max bet” means to place the reels at its highest bet. Profile means to gamble the amount betting on heads, while the Leaf means to gamble the amount betting on tails. Transfer is subject to gamble a part of sum, whereas collect defines save the winnings. 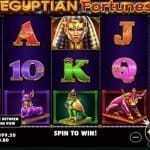 Jackpot 6000 is an easy to use online slot game. The game is designed beautifully. The game is very colorful and that’s why players from all around the world like to play jackpot 6000 as their favorite slot game. It has total 6 different betting levels and 4 different coin values. The game suits to every player, weather you are a high value player or a low limit player. 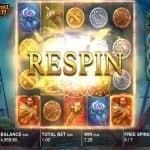 This netEnt slot game can fully suit you. So what are you waiting for/ try your luck. Anytime when 3 joker symbols appear on the payline with 10 coins wagered and a jackpot of 6000 coins will be rewarded.